Unrepresented defendants: Beware of prosecutors and cops bearing tidings | Jon Katz, P.C. 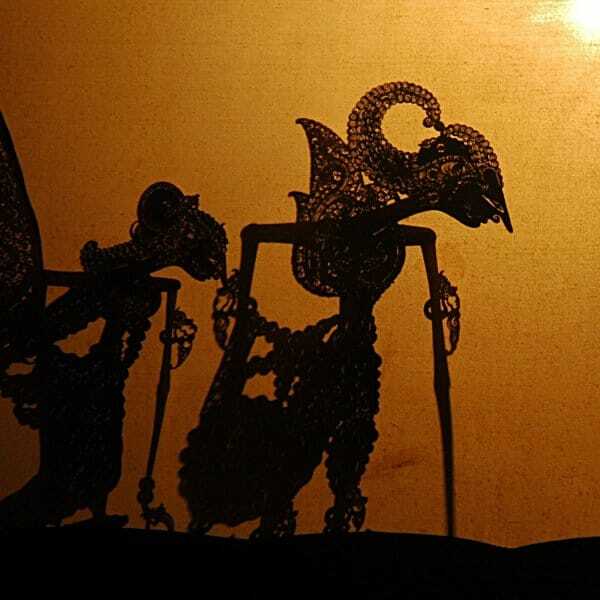 To deal with prosecutors without a lawyer is like dealing with wayang shadow puppets; all will remain shrouded in mystery. (Permission for image republication given by its creator). This follows up on yesterday’s blog entry to beware of prosecutors bearing gifts. To unrepresented defendants, I also say beware of prosecutors and cops bearing tidings. Here is an example. Recently, I went to a nearby Virginia District Court for a hearing to schedule my client’s trial, with the entire procedure taking ninety seconds at most. When I went in the hall to ask the prosecutor a question, he was speaking with an unrepresented defendant. I could not help myself from overhearing their conversation. From what I could tell, it appeared the defendant only was present for a scheduling hearing, as was I. If not, this certainly was not his trial date. The defendant apparently was anxious to get his case "over with," which is a common sentiment by many of my clients of all different backgrounds. However, when a criminal defendant rushes to get things over with — without sufficient preparation for battle — sometimes the nightmare has just begun. In this instance, the defendant looked anxious to receive a guilty plea deal, even while acknowledging a previous theft-related conviction. The prosecutor conveyed combined elements of honesty and smoothness. The prosecutor confirmed that he could not advise the defendant in the way a lawyer could. Yet, he seemed persuasive by his very appearance of being low-key, approachable, and listening. He added to the defendant: "I don’t know if the same offer will be extended to you if you wait until the next court date." Fewer than one minute passed, when the defendant shook the prosecutor’s hand, saying "We have a deal." I sincerely hope that, in the interim, the defendant refused, after all, to plead guilty without a lawyer. One day, I asked a prosecutor about disparities between guilty plea and disposition deals offered to unrepresented defendants versus to represented defendants. She insisted they get the same thing. Her assertion may have been one percent true, at best. Perhaps she generally made the same initial guilty plea offer to both represented and unrepresented defendants. The missing piece of the puzzle is about the extent to which unrepresented defendants accept plea offers that are not wise to accept and would not be recommended by a qualified attorney; and the extent to which a skilled lawyer, as opposed to an unrepresented defendant, can convince the prosecutor to start softening the prosecutor’s settlement offer. Sometimes police join the act to try to convince defendants to take an imprudent guilty plea course of action. Sometimes it is as simple and harmful as a police officer promising to let the judge know the defendant was cooperative with the cop, and to estimate the judge will "just give probation." If not as many defendants were so "cooperative" with police, fewer of them would be criminally charged, convicted, or harshly sentenced in the first place. Jon Katz.